On the surface of things, The Reluctant Hallelujah contains all the necessary ingredients that go into cooking up a very cool book. 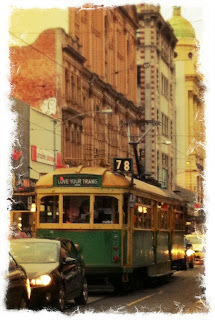 A mystery, a road trip, Williams’ trademark wit, teenage highjinks and lots of love for my home city, Melbourne. And this is why it pains me to say that I found the end product of The Reluctant Hallelujah slightly undercooked, leaving me with the distinctly bitter aftertaste of disappointment. Having already become acquainted with Williams’ cheeky and charming style in Beatle Meets Destiny, I had high expectations for The Reluctant Hallelujah. After a bit of light hearted flirting with her 2009 novel, I was ready to fall in love. And at first, the signs were promising. Williams has a real flair for voice and Dodie’s is no exception. The book has a conversational manner, and it’s always clear that the Dodie is relating the story in her personal style, rather than being merely a vehicle for the author’s words. 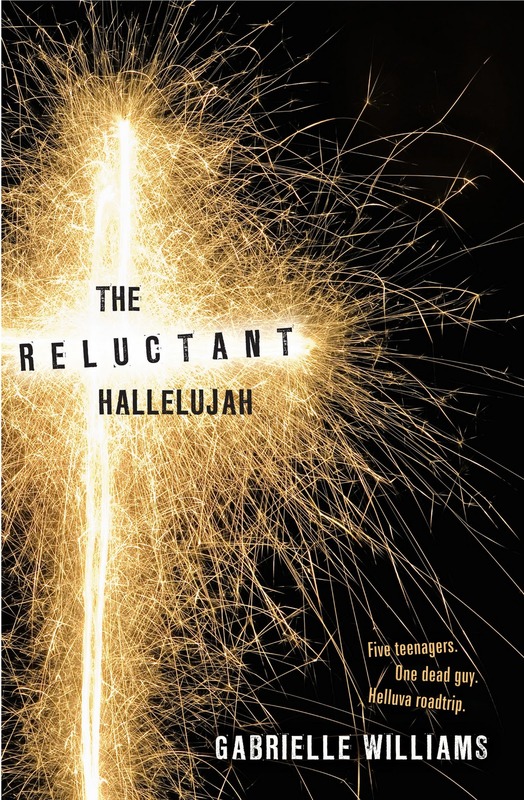 The narration and dialogue of The Reluctant Hallelujah are sharp and full of humour, just colloquial enough to give the book the literary equivalent of an Aussie accent. Additionally, there’s plenty of “quirk” factor (more on that later) and cast of characters that feel interesting and yet familiar, like teenagers you might actually meet in Melbourne. The relationship between Dodie and her younger sister Coco was a high point for me, realistic and touching, complete with sisterly angst and loyalty. The other characters along for the ride, Taxi, Jones and Enron, are slightly less fleshed out – particularly when considering the major way they come to affect the plot. Williams gives us glimpses into their backgrounds, snippets of context to their beliefs and actions, but overall I don’t feel the characterisation was strong enough to withstand the manner in which the story concludes. And then there’s The Thing. In the interests of keeping this review spoiler free, I’m not going to say what The Thing is. However, the title, the cover, and the tagline all provide pretty obvious clues as to what The Thing involves. It’s a bold move on Williams’ part, because not everyone is going to be comfortable with this element of the story. And as it’s the major crux from which the rest of the story hinges, I feel confident in saying it may make or break your feelings about the book. Some will find it offensive. Some will find it funny. Some will find it discomforting. Some won’t be bothered. Gabrielle Williams has mentioned in interviews that her US publisher “freaked” and said there was no way they could publish it. All I’m going to say on it personally, is that I don’t feel the end justified the means. I say that because I think I can see what the aim was here. The way the ending played out as an ironic parallel to the central subject, and had things to say on the issues of belief, sacrifice and love. However, I just didn’t feel that it worked. There was too great a disconnect between the finale and everything that preceded it. The foreshadowing or hints in the lead up felt awkwardly planted and didn’t lay sufficient groundwork for the ending to deliver the necessary impact. What should have left a deep impression on the issue of faith (and I don’t necessarily mean religious faith, here, but faith also as a more general concept) felt oddly hollow and out of place. The dramatic shift in tone is jarring. From tongue in cheek and irreverent, the abrupt turn for solemn and serious is almost whiplash-inducing, and feels at odds with the previous content. Similarly, the principal relationship felt underdeveloped, with the result that I found it hard to feel much conviction in the final outcome and Dodie’s emotional response. So while in isolation the elements to this novel were intriguing – the sum of their parts was disappointing and somewhat awkward. I hesitate to label this book as controversial, exactly, but it’s certainly not going to be everyone’s cup of tea. What I really loved, and as was the case with Beatle Meets Destiny, is the way Gabrielle Williams showcases Melbourne and writes about it like a character in its own right. From the urban exploration of Melbourne’s literal underground by the Cave Clan (who are real), to Chapel Street’s rumbling W Class trams, to the Plane tree lined streets and preserved heritage buildings of St Kilda East – Williams’ affection for her city is palpable. 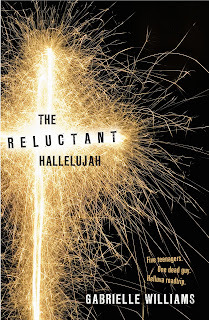 The Reluctant Hallelujah is an unusual, bold book with some interesting ideas at its heart – but unfortunately it simply didn’t work for me. This Aussie YA title is currently available for purchase at Fishpond.com. Your review is spot-on, even though I have not finished this book–cannot finish. I’ve tried, but after learning what ‘the thing’ is, I just can’t connect to the story or characters any longer. ‘The thing’ isn’t the problem per-se; it’s Williams’ choice to have her characters immediately recognise and accept its existence. No normal person, teen or otherwise, would be so quick to accept such a thing. There’s no doubt in my mind that Williams is a talented wordsmith. What a shame she can’t craft a plot. I’m sorry that you didn’t enjoyed it, Reynje! I actually really liked this book and I loved it even more than Beatle Meets Destiny! I also thought the setting of the book was really great! Thanks for the comments, everyone :) This one wasn’t quite for me, but I still recommend Gabrielle Williams’ 2009 YA novel, Beatle Meets Destiny. Oh dear. I think I can guess what The Thing is, and if I’m right…oh, dear. I can see why the U.S. publisher might have trouble trying to figure out how to market this book, hah! I did not see the ending come at all and it was a total shock that didn’t quite fit. Hmm, never heard of this book and I am curious as to what the things is. Thanks for sharing. I can understand why it wasn’t quite for you. It’s difficult to expect something for a book sometimes. I confess I didn’t know this author neither this book, so I’ll pass too. Fantastic review! You’ve certainly made your case as to why this book didn’t work out for you…and I’m paying attention. Needless to say, this book might not work its to way to my bookshelves. I have seen this book around a lot lately and have read a few mixed reviews. It’s a shame it wasn’t brilliant for you, Reynje, but thanks for the helpful review! I’m intrigued to see how I might respond to this book though, and more specifically, The Thing.